This could one day allow us to avoid premature births. 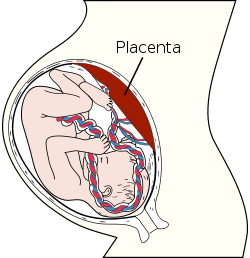 Among pregnant women, at least ten percent will experience serious complications because of problems caused by the way the placenta functions. When a placenta doesn’t grow or work as it should, doctors often have no choice but to induce labor—a decision that puts both the mother and the baby at risk. While inducing labor can save lives, the probability of infection, heart disease, diabetes, and cerebral palsy is rather high. We need a better way. The goal is to ultimately be able to treat the condition while the baby is still in the womb, but it would require delivering drugs straight to the placenta—which is dangerous to the developing fetus, as the drugs generally impact the mother’s body and also travel to the fetus. A new study, published recently in Science Advances, outlines how a team of global researchers has managed to find a way to strengthen the placenta throughout the course of the pregnancy to prevent unnecessary complications—and they did so without harming mother or fetus. For women who have experienced premature births or preeclampsia during pregnancy, there is new hope. The research is anchored on the similarities found between placentas and tumors. Peptides hone in on the latter, and because placentas and tumors are so similar, it works the same way in pregnant women. Ultimately, peptides can be used to send drugs straight to the placenta without affecting other areas of the body. Researchers used a mouse to send growth hormones to the placenta using nanoparticles coated with peptide. Notably, the drug did not leave residue within the organs of the mother or the fetuses.